A few nights ago I attended the talk “Ways of Knowing the Body in Buddhist Tantra and Tibetan Medicine” by Janet Gyatso, a prominent and innovative scholar of Tibetan Buddhism. Gyatso mentioned that the talk she had prepared for us is pulled from one of the chapters from her upcoming book Being Human in a Buddhist World: An Intellectual History of Medicine in Early Modern Tibet published by Columbia University Press set to release next year. Aside from visiting a Tibetan doctor maybe several times in my life and having some friends studying in the field, my knowledge on Tibetan medicine has always been minimal. However, Gyatso’s talk wasn’t necessarily on the specifics of Tibetan medicine, she explores the social, cultural and political climate of the time frame she covers to understand the complexities involving the Tibetan society, demonstrating, what I call, Tibetan modernities (outside of western influence). Gyatso’s focus was the Buddhist-Tantric concept of “channels” and “chakras,” and Tibetan medical scholars’ questioning about these channels that Tantra says exists in the body. This debate provided insights into the politics and beliefs of that time: scholars of Tibetan medicine doing research on anatomy, physiology and the like and coming across findings that made them question the empirical existence of the chakra’s, and therefore, question an aspect of Tantra tradition. With Tibet under the rule of powerful monastic elites at the time, this debate also risked challenging that ruling body because it questioned their religious ideologies. Dr. Gyatso explained she was looking specifically at the text Gyu-Shi, from what I hear, it’s the text that all Tibetan medical students need to memorize. 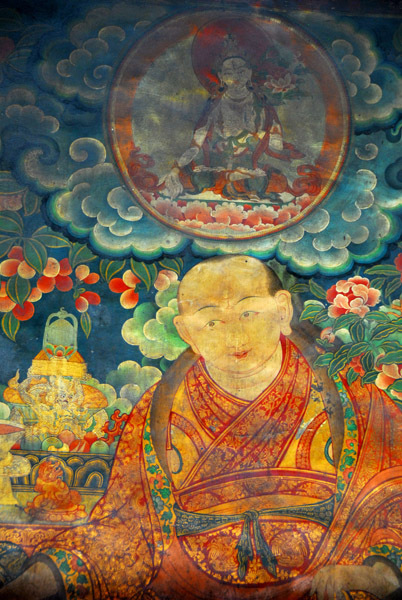 Her research was specifically focused on the time frame when Desi Sangay Gyatso served as the regent to Tibet under the 5th Dalai Lama, however the debates she covers began, as she noted, in the 12th century. This was also the time when Tibetan medicine flourished due to Desi Sangay Gyatso’s interest in Tibetan medicine. In her findings, Gyatso came across debates by Tibetan medical specialists on whether the channels (that Tantric tradition tells us exists in our bodies) really exist, and if so, in what capacity. So what are these debates about? 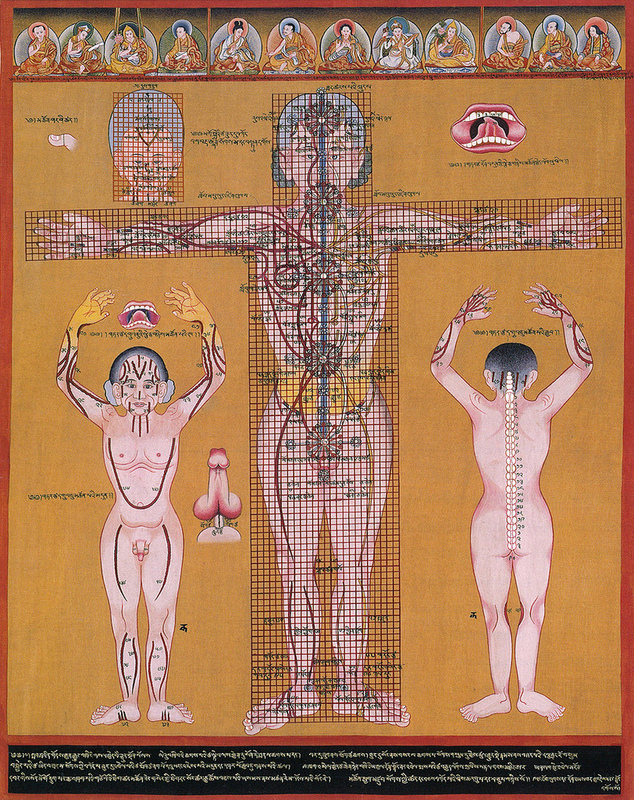 Since Tibetan medical experts dealt with the material-physical body, if they could not unambiguously and reliably locate and see the channels and chakras that Tantric tradition says exist in the body, then these phenomena, they seemed to ponder, could only ever be marginal to their craft and science. 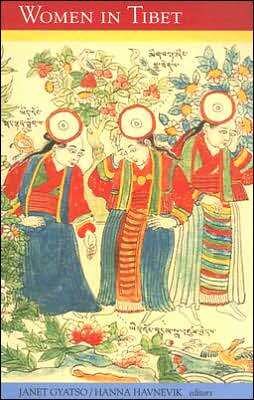 In these debates, Gyatso comes across two individuals, Yang-Gom-Pa and Zurkharwa Lodoe Gyalpo, whom inspired a variety of standings on the chakra’s within the Tibetan medical community. Existing proposals included: 1) straightforwardly the channels do not actually exist. 2) they do exist but are part of a subtle anatomy (Buddhist notions of “Subtle body/levels of Knowledge”) and are not material in the conventional sense, (so, these channels should not be viewed in physical term). 3) They are parts of the anatomy produced by intensive meditation practice, and don’t exist pre-formed in the average adult body. According to Gyatso, Zurkharwa compromise’s and his way of reconciling empirical medical studies with Tantric religious concepts was to propose, based on existing Tibetan theories of embryology, that the channels developed in the human embryo during the first few weeks of life. Zurkharwa’s explanation accounted for Tantric dogma in terms compatible with current medical theory. Because, even though they were familiar with human anatomy from adult corpses, Tibetan doctors in the 12th century weren’t dissecting embryos. By locating the Tantric channels in the embryo, Zurkharwa effectively made them un-verifiable, real but unexplainable. As Gyatso noted as a side-note, a cynic might point out how historically the notion of “unexplainable-ness” has served as an excuse to serve those who want to maintain their order or world-view, their status quo. 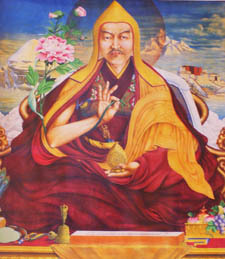 Though some of these Tibetan physicians were interested in this debate for medical and intellectual purposes, Gyatso insists, that most of them were not necessarily interested in questioning the Tantric tradition they were steeped in (since most of them identified as Buddhists also), and so, by extension the political order at that time which was at least in part grounded in the reality of Tantric knowledge and power. It would’ve invited unwanted attention and trouble. So in their medical explanations and drawings, they continued to mention these more ‘subtle’ channels even though they weren’t relevant to their medical practices like empirically verifiable veins, nerves, organs and bones were, and even though including these channels could create intellectual, philosophical problems. In her examination of the medical texts and diagrams/drawings, she came across the use of ambiguity in words and explanations when talking about the channels. In diagrams that she showed us, there were drawings of the human anatomy with detailed explanations and labels for minute details for each area of the body. But when it came to the channels and chakras the explanations became either vague or the labels were not precise even if the authors stated that the channels and chakras were drawn in. Theoretical scholarship, such as Trouillot (1995), on how authoritative histories are produced has pointed out how attention to purposeful silencing can provide insights into the social, political and cultural moments, and the relationships of power that shape them. Purposeful ambiguity can also be utilized to try to get at what was being silenced or made ambiguous, why were they considered important enough to be silenced or made ambiguous, and what purpose were these silencing and ambiguity serving? Who were all the parties involved? What were all the potential benefits or dangers? The debate on whether the channels exist or not is, according to Gyatso, still an ongoing debate happening both inside and outside Tibet. The point, however, is not whether the chakra’s really exist or not, but the insight these Tibetan medical debates provide on Tibetan society. They are commentaries on how Tibetans at that time thought of governance and shared beliefs, and how monastic and lay civilians (medical experts) saw themselves in that spectrum. Gyatso mentioned that there could arise the question of whether these questions were inspired by Western ideas and influence. At that time, Jesuit priests were having discussions on sciences and medicine in Asia influenced by the debates on science and religion taking place in the West. Based on Gyatso’s findings, there were no indications that the West influenced these debates on knowledge, religion and the body in Tibet; they were organic in and of themselves, truly indigenous. Although Gyatso notes, “Tibetans did not have a conception (nor a word) for modernity” at that time, her discussions on these debates are an example of how I see Tibetans at that time grappling with (how we currently think of) “modernity,” conducted and engaged on their own terms, outside of western modernity ideas/influences. I have always been annoyed, yet understand the impulse, by some Tibetans who will comment “yes, Tibet was backwards before but now we have modern government and democracy in exile after China’s invasion” in defense of questions by outsiders who argue that China has brought modernity into Tibet. I too have made that comment when I knew very little on Tibet’s historical past, before China’s invasion. However, as Gyatso’s discussion demonstrates, Tibet was complex and had the capacity to define its own idea of modernity (and so society) on its own terms to better itself, outside of Chinese or Western modernity or influence. Chinese modernity or even western modernity was not needed when Tibetans were making their own inroads on how to move forward, whether in the frameworks of Tibetan medicine, literature, womanhood, or spirituality, and so on. I am not arguing that Tibetan ideas of modernity cannot borrow from Chinese or Western influences, instead I am arguing against the idea that Tibetans did not have their own kind of modernity. We Tibetans, I am arguing, could have moved forward to the march of our own conceptions of modernity if it were not for China’s invasion that put a halt on our development as a people, society, and nation. However, I acknowledge that despite China’s intrusions, Tibetans are still moving forward in our struggle to (re)negotiate and (re)define our approach to modernity (i.e. the current political discourse developing around democracy) with each other on our own terms both inside Tibet and in exile. I wanted to use a word that the general body of knowledge already accepts and uses as the norm: Modernity–except I wanted to give the term a new twist from the way it’s usually thought of. By using this term, Tibetan modernity, I wanted to give also a shout out against the notion of indigenous forms of knowledge as static. By tracking the changes and/or (new) phenomenons through out indigenous histories, by using their own cultural epistemology(ies), the notion that indigenous “traditions” or “cultures” operated as timeless categories is proven false. That’s how I see “Tibetan Modernity.” I’m also trying to counter the current notion of “modernity” as singular, especially in the context of historic Tibet. Often times I’ve noticed that in the call for “new” thoughts and/or ideas in our community by those who advocate for newer thought; it seems the call for modernity (the call for change) is always being articulated in opposition to “the old ways” and seem to (in)directly de-legitimize older Tibetan ways of knowing/doing-knowledge (by both Tibetans and non-Tibetans). However, on the other side, older Tibetans seem to defend the “old ways” as if old knowledges cannot be utilized to usher in a newer form of the old way and they also tend to be in opposition to those calling for newer thoughts as if they’re calling for something completely foreign (ex: the idea of how to correctly be a Tibetan based on conservative and static concept of the proper ‘Tibetan’). I’m arguing that the two sides do not have to be thought of in polarizing terms. We can talk about it in a way where the old way isn’t seen to be in opposition but can be looked as something that is in conversation with the new, creating a different kind of new produced form the old. More updated if you will (my previous post on Shapaley’s “Tsamapa” is a good example) . That’s why I think the current conservative conversations in the Tibetan diaspora on how to be the right “Tibetan” gets trapped in producing stereotypical notions of Tibetans that do not reflect reality–they make it seem as if “authentic Tibetans” in preinvasion Tibet were not subject to change or diversity. Because our notion of modernity seems to rely on western ideas (which frames traditional Tibet as timeless), new ways of identifying as Tibetan (influenced both by old Tibet and new exile) is assumed to be in opposition to the “old” Tibetan ways of being (which is considered to be more “authentic,” which frames time as frozen) by both the young and old. It’s also part of the reason why Lhakar gets trapped as something that has to look one way (speaking, wearing, Tibetan), instead as something that is and could constantly keep moving and changing and could mean multiple things. That’s why Shapaley is still promoting Lhakar and Tibetan culture by expressing himself in Tibetan (the old) while wearing Jeans and doing so through rap/hip-hop (the new). It also, as iterated by “Anonymous” in the comment section, helps us rescue Tibetan society from China’s narrative of itself as “Modernizing” Tibet in defense of its colonial presence in Tibet. On a not so subtle note, THANK YOU Ben Joffe for your help on this post, especially on the complex section on chakras from Gyatso’s talk. Hi! Thank you for a great post! This really got me thinking a lot. I have a question, though: what exactly you mean by modernity? Do you mean that an empirically-based process of inquiry was taking place in Tibet before the Chinese invasion and contact with the West? I think this makes sense to me. I get that by demonstrating this you rescue Tibet from a static past and also counter Chinese justifications for invasion. And I think this definitely succeeds, because I was surprised to find out that such inquiry was taking place in 12th century Tibet. Or do you mean something else by modernity? And I’m still wondering about your terminology: why call this modernity rather than something else? 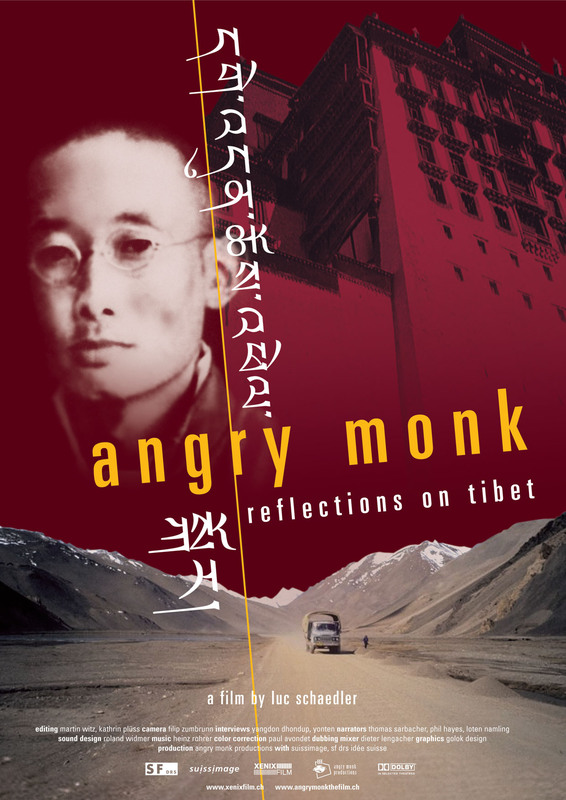 It seems the book is a perspective of non-Tibetan and casting the intellectual debate of time into a typical western approach to problem through power politics, not necessarily true in its true sense, but scratching a marginal truth of the real event of the time. Silenced? It sounds like politically motivated, a binary truth, against or for, no other way around. You either be a republican or democrat, else nothing! What if there is a third way? The medical practitioners are Buddhist and they truly believe in energy channel (nerve-air interface! ), at the same time they have a minute observation about human anatomy, and they gladly reconciles their learning of physical body structure and metaphysical beliefs and philosophical explanation which is underpinned by energies generated through meditation which no ordinary people can perform such skills, but an adept practitioners? The whole problem is our way of approach, not seeing truth in its native ways, rather through a different lens either Chinese or Western! Such an approach, essentially claims there is no other way to validate or verify either objective truth or subjective truth. Due to using the wrong lenses, there is only two arguments around Tibet issue, either trust the Chinese narration or western narration (general Tibetan narration are influenced by western narration in exile!). In order to cut through all the craps existed and overflowing all over the places, Tibetan should know their own past through their own ways, literature, history, politics, religion, psychology, and so forth, anything native approach. Otherwise, Tibetans will remain victim of others interpretation due to its people ignorance of their own cultural heritage. So now the question is, if you really want to investigate Tibet past in its native ways, then first step is one should have strong grasp over Tibetan language which is the key to the vast Tibetan writings. Otherwise, you can either grateful to the Chinese for bring development or occasionally boosting minute confidence through western interpretation. In depth of heart, you feel Tibet society was static and primitive! wow…..we still have such people! Thank you for your comment. In general terms, your point is actually what the post is arguing. Glad we are on the same page. Here’s me late to the party — You have an excellent point here, I think, that whenever the word “modernity” is used, it always sits inside the frame of how we white folks understand “the modern.” Activities of modernization that lie outside of our conception are dismissed, because our definition does not fit. But we’re not even necessarily modern by our own definitions, when you take, for example, the Satanic Panics of the 1980’s. Or our desire to get outside of the modern by rubbing all up on the “Mystic East” like a cat in heat.